If every blocker could be like Rambo, then we would have one boring derby game. 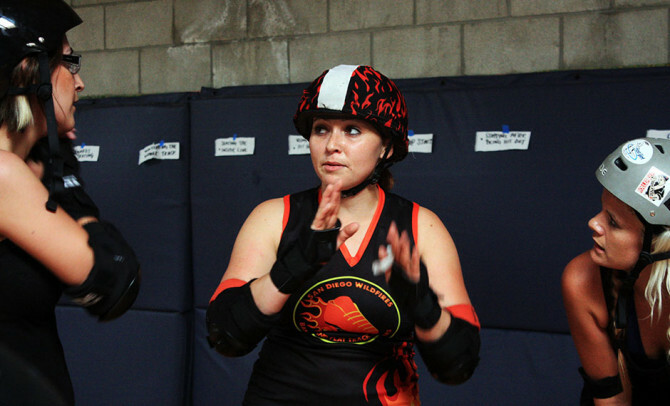 No jammer would ever get through the pack, no blocker could get by another blocker and nobody would ever fall. Well because we are human, we need our fellow teammates to help us be a “little more like Rambo”. Walls of 2, 3 or 4, blockers make a much more effective defense against a jammer. Most jammers that see only one blocker to get by, don’t see it as any form of danger, they see it as just “another point”. Each drill is taught without jammers and/or assistance. Add a jammer and assistance.